7 Fun & Cute Ways To Brighten Up Your Office Desk! We spend most of our day at the office, and if you're someone like me who loves their job, then you do enjoy it! However, once in a while, the work life can get a little monotonous. So how can you fix that? 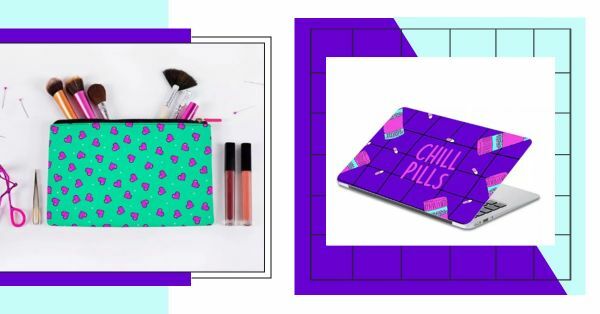 Well, our latest collection of POPxo merch is exactly what you need to brighten up your desk with some cute and quirky items. Just a little something to add some colour and personality to your desk. Pack up your essentials, from your pens to earphones and pen drive in this unapologetic pouch. Don't pay heed to office gossip, just sip on a cup full of sass. Last minute make-up touches before you make it to the office party? Keep a pouch of your essentials in your desk! This cute bright laptop sleeve will lighten up your day in an instant! Are you a feminist just like us? Grab this laptop skin to show the world what you stand for. Chill out with this quirky laptop sleeve that is basically my mood in personification.